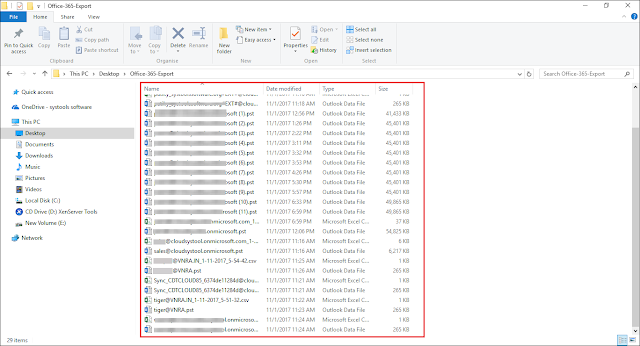 This type of situation is encountered by many administrators who are using Microsoft Office 365 cloud for their business. They face different challenges while implementing manual workarounds because these measures are good only for very small data. It becomes more difficult to archive Office 365 mailbox to PST file when a suitable solution is not known by end users. 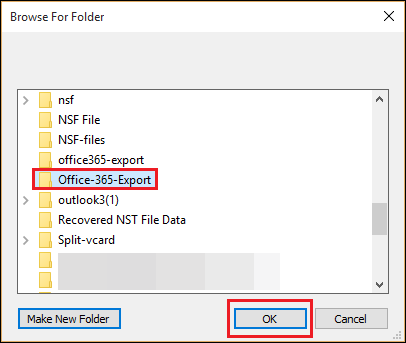 Therefore, here we are with 2 most reliable approaches, which end users/administrators can use to export PST from Office 365 online, and these approaches no longer required to export Office 365 mailbox to PST using powershell commands. Launch Microsoft Outlook 2016 on your machine and click File >> Add Account. 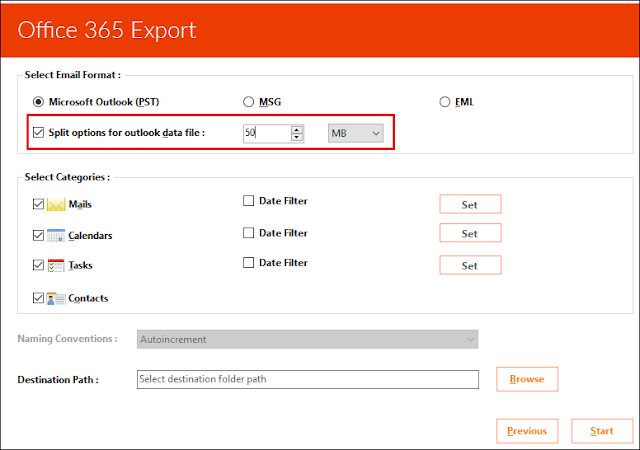 Mention the Office 365 email id whose data is to be exported to PST file and click Connect. Microsoft will be preparing itself to connect with the account of MS Exchange Online. 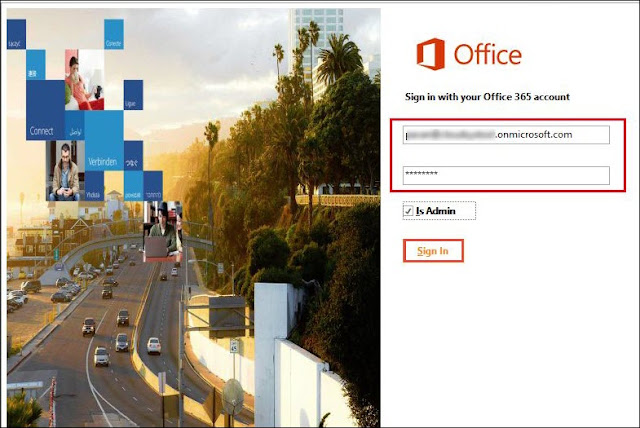 A Window security box will be displayed in which you will be entering security password of the corresponding Office 365 tenant. 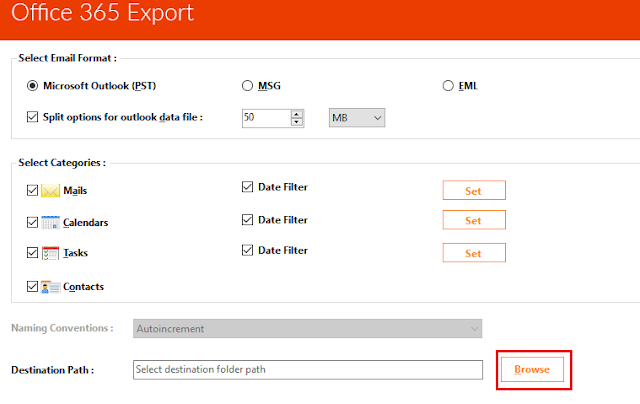 Click on OK >> OK for proceeding with steps to export PST file from Office 365. 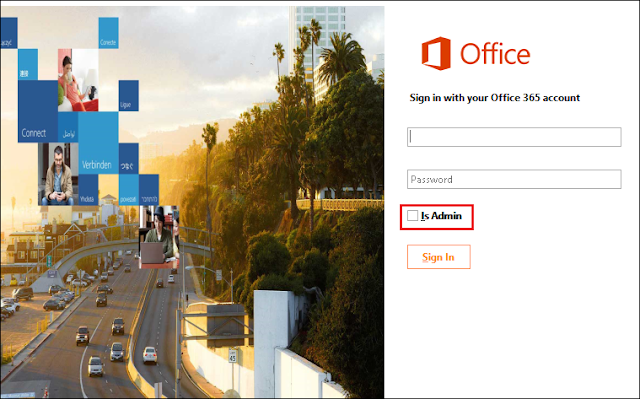 Wait for a while and after few time, you will find that Office 365 tenant is configured with MS Outlook 2016. Click on OK to continue. Close and then again start Microsoft Outlook on your system. Click on File >> Open & Export. 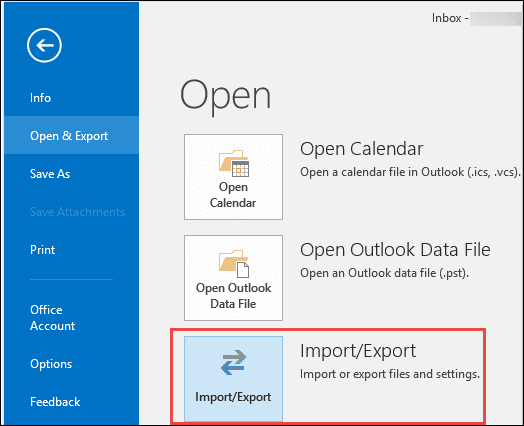 An Import and Export windows get opened where you have to click on Export to a file option >> Next. 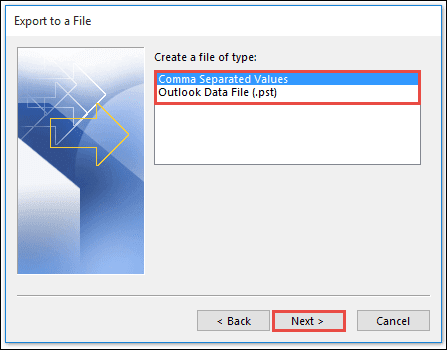 Choose Outlook data file (.pst) option and click Next. 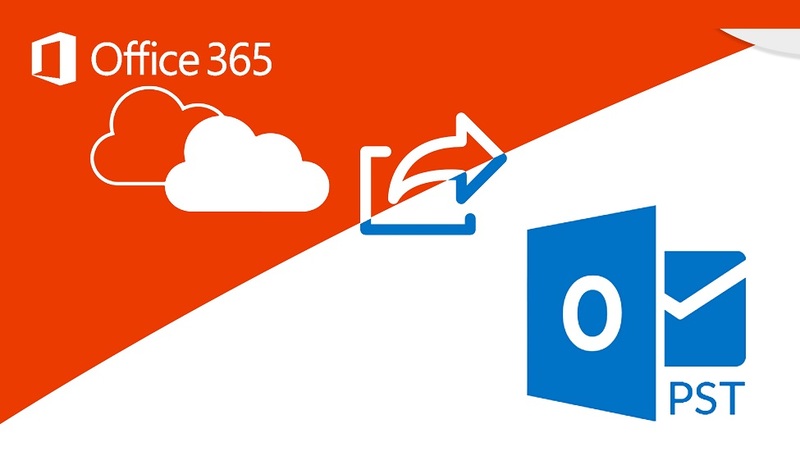 Choose the Microsoft Office 365 email id and click on Next to proceed with archiving of Office 365 mailboxes to PST. Locate the path where you want to save resultant PST file by clicking on Browse button and click Next. At last, click on Finish button to begin data downloading from Microsoft Office 365 cloud on the machine in PST format. 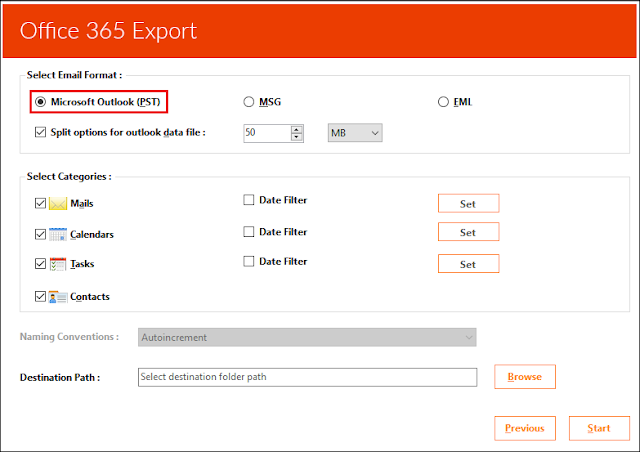 This measure to export mailboxes from Office 365 online will be workable if an individual is having single Office 365 account. 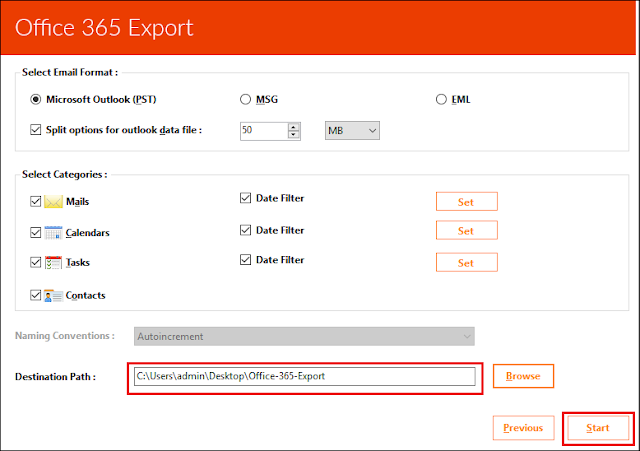 When it comes to administrators then, the approach fails and for this here comes another workaround i.e., Office 365 Export PST Tool. Open the program on your machine and click on Login button. Check the checkbox of ‘Is Admin’ because here we are explaining the procedure for administrators. If you are not an administrator then, you need to skip this step. Enter the account credentials whose data is to be archived in PST file format on the local machine. Click on Sign In button to proceed. All the users that were included in corresponding Admin account will be listed in front of you. 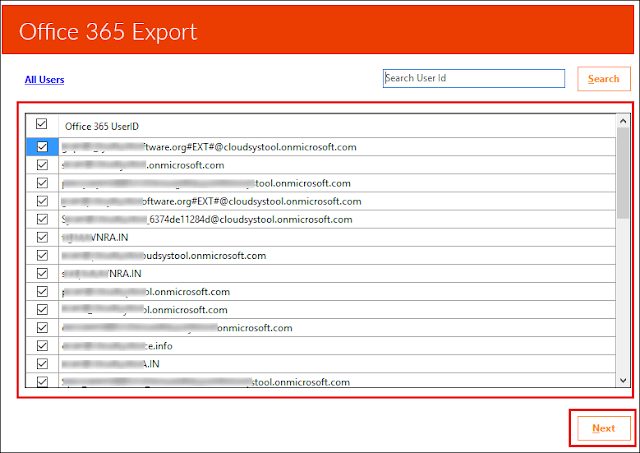 You can have a look at them and click on Next to proceed with exporting of PST file from Office 365 admin. 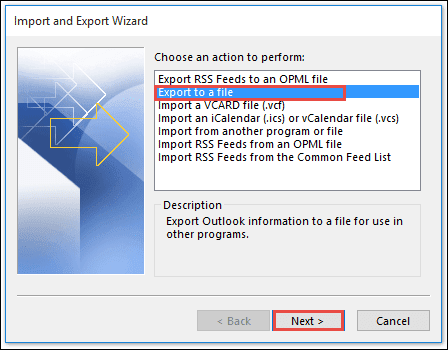 In the section of ‘Select Email Format’, choose Microsoft Outlook (PST) option. If you want to break the resultant PST file into smaller parts then, you can use the feature of splitting in this software. Select all the mailboxes of Exchange Online account that you want to download on the local machine. 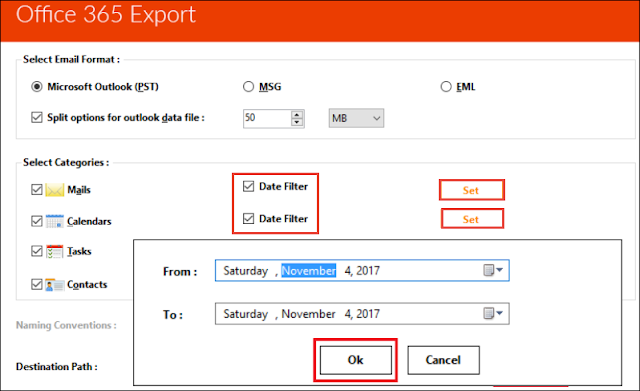 If you want to filter out the existing data then, enable the option of Date Filter and click Set. After this, mention the criteria of filtering and click OK to proceed. Instruct the location where PST file is to be saved by clicking on Browse button. Navigate the folder of PC where .pst is to be stored after complete exporting procedure and click on OK. Here comes the end of the exporting procedure where you have to check all the settings made by you for the backup process. When you get satisfied, click on Start to begin the process of archiving in actual by this application. Locate the path that you have chosen in Step (10) and check all the PST files created by the software. No one in the world wants to waste time either in the backup processor for exporting purpose. Therefore, here the workarounds described are foolproof and tested by the expert team. After reading and understanding the process specifications, users can choose any of them. Hope we are able to solve the problem of Microsoft Office 365 user or administrator for which you are reading this blog!